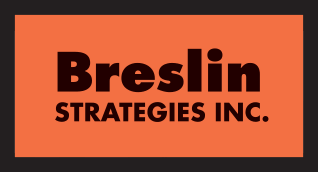 Hear what clients have to say about Mark Breslin! Mark’s talk was terrific and absolutely one of the highlights of our meeting. His message was so timely and on point for our group. We were thrilled to have him. I’m sure a lot of PLCA members will be in touch for their own company events! Mark brings an understanding of business and an energy that reaches our people top to bottom. He has an incredibly compelling no-nonsense method of delivering his message. Mark came to our offices and delivered 2 hours of straight talk, passion, and uplifting information to some of the most important people in our company. Clear concise irrefutable information delivered with passion and conviction was the shot in the arm they needed. Mark delivered a very powerful message…We are very pleased! Everyone here is walking on cloud nine after the Summit. Thanks for delivering a superb presentation. President & CEO, Initiatives, Inc.
Mark’s presentation at our conference in San Francisco earlier this month was off the charts — it was the most engaged I’ve ever seen our crowd! I am still absorbing my time working with Mark… I will describe it as a mental/emotional boot camp. Thank you for your time and this opportunity. Mark has unique qualifications to make sense of complicated business challenges and provide positive and practical solutions. If you’re considering outside sources for training, I would highly recommend Mark Breslin. He is worth every cent, and you will not be disappointed. Mark offered very helpful advice on the challenges we face on Coaching & Mentorship, Communication Improvement, Effective Motivation and Accountability that was relevant to all of our supervisors. Your message at our Fall conference resonated loud and clear with our energy, refinery and manufacturing owners. We can see now we have control of our future success. Mark’s presentation was excellent. He really connected with the group, just as we had hoped. This presentation set a Northwestern baseline for leaders in the business. Mark immediately made a connection with our people, and his talk resonated within our group. People were texting during the meeting about how “spot on” his points were. President, George J. Igel & Co., Inc. I thought the message was right on, and served as a wakeup call to the company. I appreciated the direct, no B.S. approach. We’ve had several speakers in the past, and all were good, but Mark’s resonated much more. Your presentation was marvelous, and certainly loved up to all we have heard. The message that you delivered was certainly significant and pertinent. The aging workforce and the impact of ‘Generation Y’ will have a significant impact on Wisconsin… If only we could clone you to help us with this message. We are beyond grateful for you making today happen. We just closed up for the day and we are still riding the momentum that you created. Your commitment to our group today on so many levels is extraordinary… THANK YOU! It was a great day, and an outstanding presentation. Our people found it to be motivating and useful. The key will be maintaining the interest and excitement to create positive, lasting change. Thanks again for a great message delivered in a positive manner. After Mark spoke to our group, I was flooded with positive feedback. Specifically, from the Generation X guys. They enjoyed listening to Marks words of wisdom and advice. He had our entire group pumped up! Selecting our keynote speaker this year was left to me and I must say that Mark’s presentation made me look really good. Without any solicitation people provided outstanding feedback on Mark. Best money and time we ever spent. We will be seeing Mark again. Mark was the hit of the conference! Every person that I have spoken with said he was right on point, thought provoking and compelling. They said he ‘took no prisoners’ and was “down to earth. His intelligent and forceful message was inspiring and challenging. Director of Construction Management, Zenith Tech, Inc. I just cannot put into words how effective, professional and correct his presentations were delivered. The comments were very positive and I really think people left thinking, I have to make some changes myself. Mark handled himself with extraordinary professionalism. We hope to invite him back. Mark impressed our attendees with a high-energy, well-researched presentation that had them referring back to his keynote throughout the conference. It was clear that he took the time to craft something especially for our audience, kick-starting the event in exactly the way I asked. I thought the presentation was very motivating, and in my opinion, it was important for all segments of our company to hear the same information at the same time. I think it helped put some issues into perspective, especially for our company, that is on the cusp of growing into new service lines, as well as our need for employees to embrace their roles. Mark is a master at captivating and keeping his audience involved. Mark’s blend of humor along with his brutally raw truthfulness keeps you completely engaged. After Mark’s presentation our field leaders left with more self-esteem and confidence than I ever expected. Thank you for your presentation at our Annual Supervisors Meeting. The feedback that we have received has been unbelievable! Everyone was energized and focused. You spoke their language and most of all showed them your passion for positive change in the workplace. President/CEO, Electrical Corporation of America, Inc.
Mark’s no-nonsense and pragmatic approach to enabled our supervisors to take their leadership skills to the next level. Leadership culture change and the subsequent transition from the Baby Boomers to the next generation leaders is critical; his strategies empower all leaders to make the change successful. Your presentation was on point and with a strong message. You pulled no punches in emphasizing the importance of knowing who the competition is, to focus on their weaknesses, and to use our strengths for success when we are marketing ourselves. You ‘topped” it off with your brilliant delivery and a solid message on taking action on building our 21st century legacy. Once again, I leave your seminar feeling inadequate but with a renewed focus. Excellent presentation… The economists seconded all of your data as you drove home the need for a paradigm shift. We do need to change the fundamental way we do everything if we are going to meet the needs of our future work force and client bases. Brilliant.